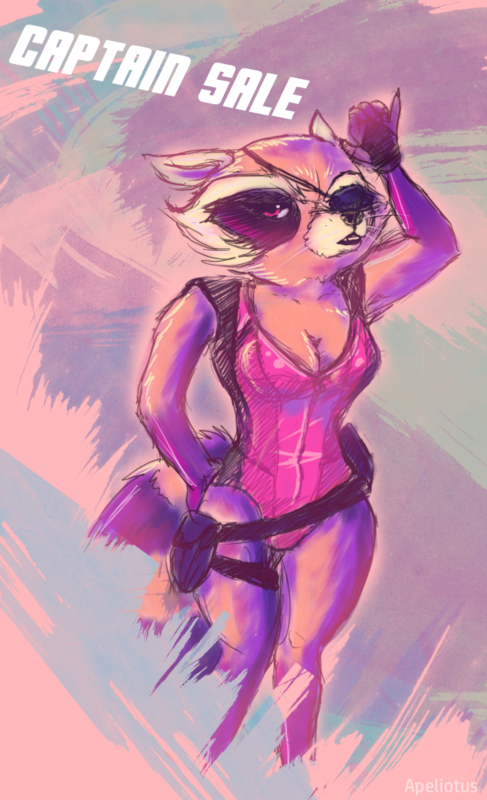 This was originally going to be gift art to someone who RPed as Captain Sale from the 2014 Rocket Raccoon comics (even if neither of us liked those comics) but we lost touch, I guess. It's been sitting half-finished on my tablet for well over a year so I decided to finally tackle and finish it last night. I completely reworked most of it.